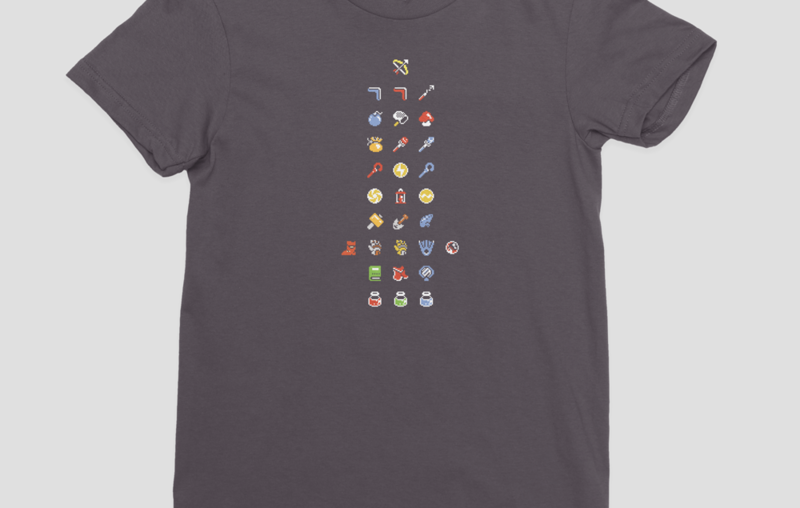 For anyone interested in my Zelda ‘Inventory’ print from a while back, it’s now available as a tee courtesy of GeekGamr. It’s available in one colour currently which is near to the colour of my original print, it includes a newly designed clothes tag with some cool little nods to A Link To The Past. Check it out here.